Imagine being in the very fortunate position of knowing that, for each of the potential 25 years-plus after retirement, you will have a sum of money that you can spend without ever having to put in another day’s work. Think of being able to invest in a new car, buy a new wardrobe or take a yearlong cruise on the Med? The person who started planning for their retirement earliest will be the person most likely to enjoy these perks. After decades of work and living a life of following other people’s rules, you should be able to get out, travel and relax, finally getting to enjoy life the way you want. In your 30s, it’s hard to think that far ahead and when household bills, school bills and mortgage repayments bite, the thoughts of forgoing salary now in order to receive it in 35 years time (even 40, as we are all likely to be working until we are 70) is not something that can be done lightly. The impulse to live for the present and enjoy earnings now far outweighs the desire to prepare for the future and save. Our mindset needs to change, however, we need to take responsibility and provide for our own pensions. In September, Leo Varadkar said, “This issue has been long-fingered for too long, and now that the economy is recovering strongly we must act decisively, and we will publish a five-year roadmap for pension reform before the end of the year.” This will include the introduction of an auto-enrolment pension scheme for private sector workers, two-thirds of whom currently have no occupational pension to supplement their State pension.” This is a huge number of people with absolutely no provision for their retirement years. While we obviously can’t solve the State’s problem when it comes to the funding gap, we can at least look after ourselves and start to strike a balance between what to spend and what to save for our future. It’s not that we should work only to be able to afford retirement, but the last thing people should do is spend every cent of every pay cheque, if it means reaching the age of 60 knowing you will have to work until you are 90, for instance, just to support your current lifestyle. Pension contributions should be seen as an expense each month that cannot be missed, like a gas bill. You could be retired for as long as you work and I, for one, want to be able to enjoy that time to the full. To do that we need two things: our health and enough money to support our lifestyle. I have been lucky enough to work in organisations that have contributed to my pension since the age of 21. I was contributing to a pension before I really knew what it was. Now I am so grateful for the pot I have built up and it gives me a sense of relief that I have made a start. If you are not fortunate enough to work in an organisation that contributes to a pension, this is your time to start. You need to get to a point where your assets meet a realistic sense of what you need to spend. The sooner you start to save, assuming your savings are invested appropriately, the bigger those assets will be at retirement. At Investec, we aim to help our clients understand what those assets should be – and we help them get there. 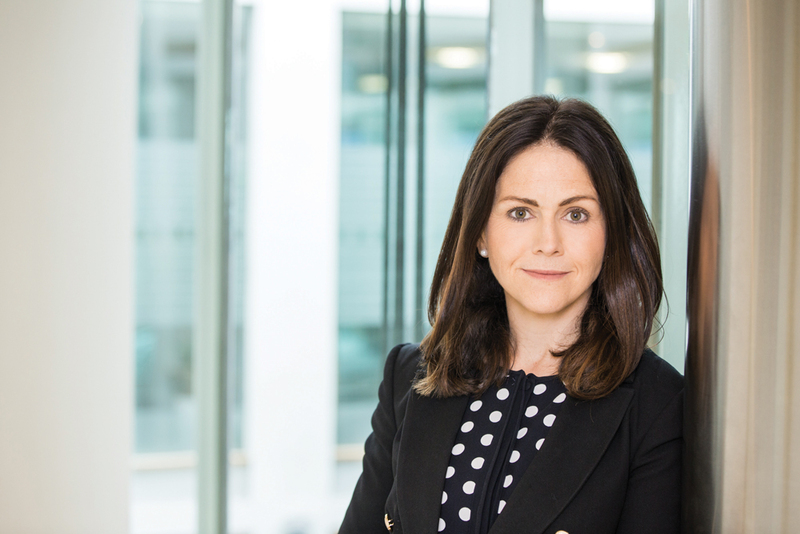 Catherine Flavin is an investment manager at Investec. For further information about Investec, call 01 421 0000, or visit www.investec.ie.